It&apos;s pretty hard to imagine having a life-altering experience at 9 years-old. At that age I was still struggling to decide which Backstreet Boy was cuter and how I could convince my parents to let me have a kitten. Kaylin Roberson however, was dealing with a traumatizing dog attack and having an epiphany regarding her place in the world. "I was 9 and I was visiting my grandparents in Virginia. We had just gotten back from the fair and I went into the living room to pet their black lab who was sleeping. He woke up and he bit my face. I was in the hospital for 3 days and I was on life support for about 4 hours." It&apos;s hard to believe that a child at such a young and venerable stage in life could take something inspiring away from that sort of incident, but Kaylin did. It was a wake-up call. In her more than 2 weeks recovery process Kaylin spent a lot of time making videos. She had always enjoyed dancing, acting, and singing; she can also play the heck outta a piano. But, those 14 days allowed her to reflect on her passion for music and her current circumstances. "I knew that I would have to go back to school and my face was still swollen. I had to have over 200 stitches. I wondered if my friends would ridicule me. I thought about what I had been through and what I would have to go through and music really helped me. I thought, what if I can help other kids." And so, eight years later, that&apos;s what Kaylin Roberson is doing. Using music to inspire and help others. You may have seen her at JCC performing in the Country Music Showcase, or more recently out at The Farm Food Truck Festival as one of the local acts. She also travels around with One Voice Project (an anti-bullying tour) and Doggone Safe (a dog safety and bite prevention non-profit) in order to use her story and her music to inspire and comfort. She has sung for orphanages, schools, and dog attack victims. Once Kaylin realized what she wanted to do with her music, she got serious about it. She started taking lessons and also committed to other talents she had previously dabbled in. She is what the industry calls a triple threat - trained in singing, acting, and dancing. 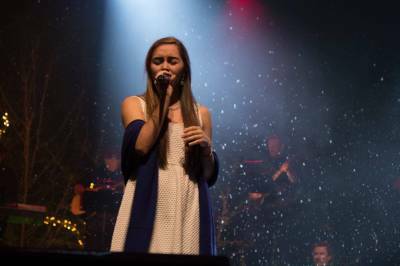 For an artist who has taken voice lessons with Clay Aiken and shared a stage with Jason Michael Carroll, it&apos;s humbling to hear her talk about the highlight of her career so far, "I love seeing the reaction other kids have to my music. A lot of kids I&apos;ve visited with and played for still follow me, still ask when I&apos;m coming back to perform near them. The other day a lady called my Mom to tell her that her children had started a Kaylin Task Force at their school to combat bullying." At 16 Kaylin is well on her way to the big stage, but she says that she doesn&apos;t mind if she has to play a thousand little gigs to get there. It&apos;s all part of working your way up. She shared with me her thoughts on making it big, "you have to be the background music before you can be the main act." Sage advice. A young lady very mature for her age, I often forgot that I was sitting with someone more than a decade my junior. When she isn&apos;t performing Kaylin is busy song-writing, something she finds more of a relaxing hobby than a chore. 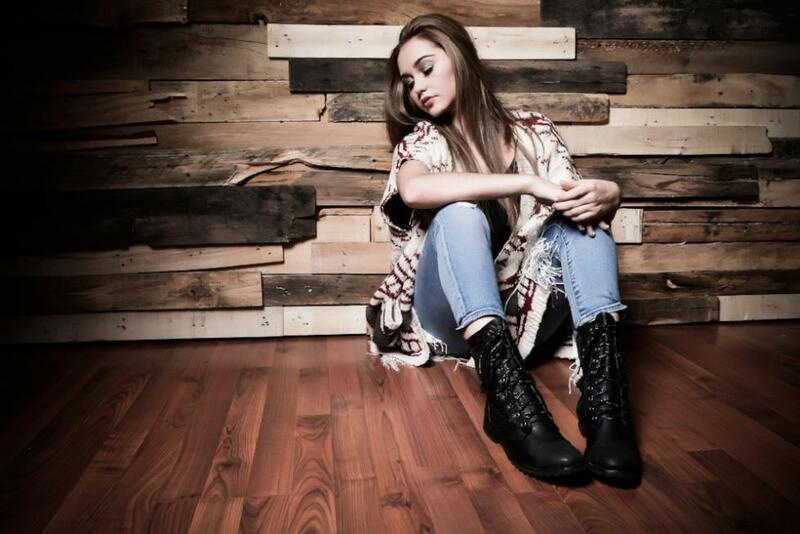 It is important in the music industry to build a catalogue of solid, original songs and she is well on her way. She has two new songs dropping very soon, one is called Sad But True. She also has a music video out for her song Life Must Go On. I asked her where she draws her inspiration from when writing lyrics, "the best songs come from personal experiences, but I also listen to the cool things that other artists are doing. I steal experiences from my friends sometimes. Writing songs is about really emotional moments - joy and sadness." Who&apos;s her dream collaboration? Sam Hunt. Excellent choice. She also says that she has a real respect for singer/songwriters like Ed Sheeran and Birdy. Her favorite song to cover recently has been Cam&apos;s Burning House. Kaylin&apos;s next big step is going to be getting signed by a record label... hopefully! But you can still catch her around the county from time to time. She played the Ham & Yam festival a few months ago and she loves performing in JoCo. When she&apos;s not working on or performing music Kaylin likes to dance, shop, hang with friends, and go to country concerts. She also plays with her dog, a chocolate lab who&apos;s older now but who came to her and her family as a puppy... a few weeks before the dog attack that changed Kaylin&apos;s life. She said she wouldn&apos;t let her parents get rid of the dog and she didn&apos;t want the dog that bit her put down either - he was saved thanks to Virginia&apos;s first bite forgiveness rule. "I&apos;m not afraid of dogs. It&apos;s not the dogs fault. But, dog attacks do happen and much more often than you think. That&apos;s why I work with Doggone Safe. They educate adults and children on how to interact with dogs and it allows me to work with victims to share my own story and share my music." Check out Kaylin&apos;s music at the provided links, and if you have a chance check her out in concert (she performs at a lot of events in Raleigh, the Triangle, and Johnston County). She is one talented teen and one incredibly thoughtful soul. I certainly wish her the best on her musical journey.